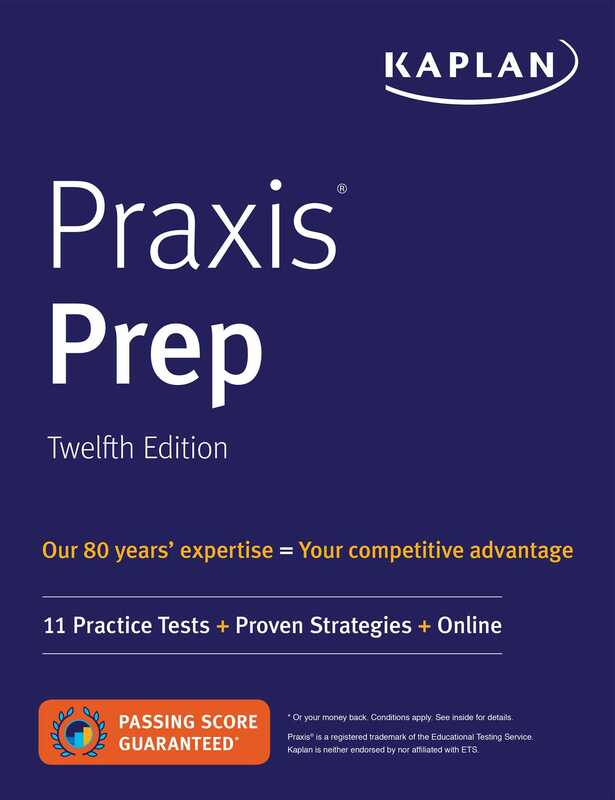 Kaplan's Praxis Prep features comprehensive content review, realistic practice, and proven test-taking strategies to help you master all Praxis assessment types. Whether you're taking the Core tests or a Subject Assessment test, our updated edition includes new content and the latest exam information to help you avoid surprises on test day. Praxis Core Academic Skills for Educators tests are frequently used as a basis for admission into teaching programs, while Praxis Subject Assessments and Praxis Content Knowledge for Teaching Assessments are often required as part of the teacher certification process. Whether you're applying for admission to a teaching program or aiming for additional certifications, Kaplan's book and online resources can help you face the Praxis with confidence. Want additional instructional videos, practice quizzes, and full-length practice exams? Try Kaplan's Praxis Deluxe online course. The previous edition of this book was titled Praxis Prep 2017-2018.